What: Hein adores the wines from France’s underexplored southwest, where native grape varieties, like Négrette and Len de L’ehl grow alongside the more familiar Merlot and Sauvignon Blanc. Ever heard of Len De L’ehl (Pronounced lohn de lay)? How about Mauzac? Neither have your friends, which is why they’ll love trying this wine. At Domaine des Terrisses, in the Gaillac appellation, the vineyards are planted almost entirely with the traditional grape varieties of the region, which benefit from the Mediterranean climate and its warm, dry autumn. The resulting wine is crisp and refreshing. It has a green-grassy quality, thanks to the little bit of Sauvignon Blanc added to the mix. 2. 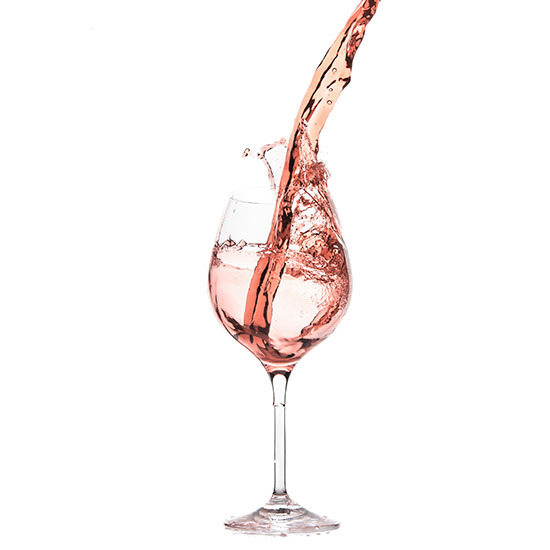 A rosé to serve with steak. This full-bodied, dry rosé is saturated and slightly spicy, filled with briar and wild forest fruit notes. The sturdiness of the wine allows it to pair with heartier food, like grilled meats and vegetables. The wine gets its power from Syrah and Cabernet Sauvignon, as well as a local grape variety known as Négrette. Domaine Roumagnac is located on western border of the Fronton appellation, which is just outside Toulouse. Négrette thrives in the warm and dry continental climate of the area, and is rarely found outside Fronton. 3. This (red) wine is a party! That’s actually the translation of the wine’s name, which is full-bodied and dense, yet still fresh-tasting with notes of fresh earth and dark fruits. The winemaker, Elian da Ros, works in the Côtes du Marmandais, using primarily the same grape varieties as his neighbor, Bordeaux. He also happily incorporates the native grape variety, Abouriou, which he likens to Gamay (the same grape used to make Beaujolais), into this fun blend.